U.S. President Donald Trump would host Nigeria’s President Muhammadu Buhari on April 30, the White House announced on Sunday evening. 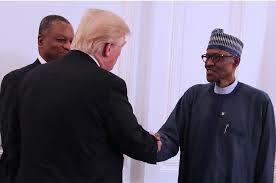 The White House in a statement said Mr Buhari would meet Mr Trump at Washington to discuss issues including “fighting terrorism” and economic growth. The News Agency of Nigeria (NAN) reports that Mr Buhari was the first African leader Mr Trump called on phone following his inauguration as the U.S. president. Diplomatic experts said Mr Buhari, being the first African leader called by Mr Trump, only reaffirmed Nigeria’s strategic position in Africa.